Picking up where I left off last week, here’s another batch of reading ideas, delivered to you from the student assistants of Gleeson Library. 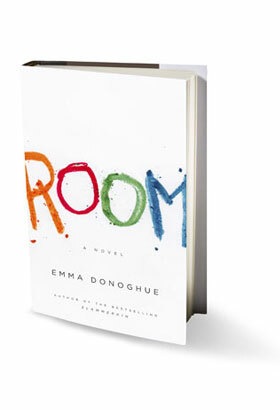 Room by Emma Donoghue is told entirely through the eyes of 5-year old Jack, who views his world with the curiosity and innocence common to young children. However, it is apparent through his interactions with his mother that their lives are anything but ordinary. Locked up in a tiny room where a fearful old man continuously monitors them, the reader can piece together that Jack’s young mother is a victim of kidnap and assault—with Jack himself being an outcome of these events. The novel chronicles Ma’s decided escape from their situation, but excitedly unravels as she and Jack are faced with unanticipated obstacles on their way to freedom. I’m glad to have finally crossed this imaginative novel off my reading bucket list! I most appreciated Donoghue’s craft in delivering the story through Jack’s perspective, as it provided some entertainment while eliciting even more sympathy towards their circumstances. Room is a dark yet heartfelt story that explores the delicacy of the young mind while depicting the strength of a mother’s love. 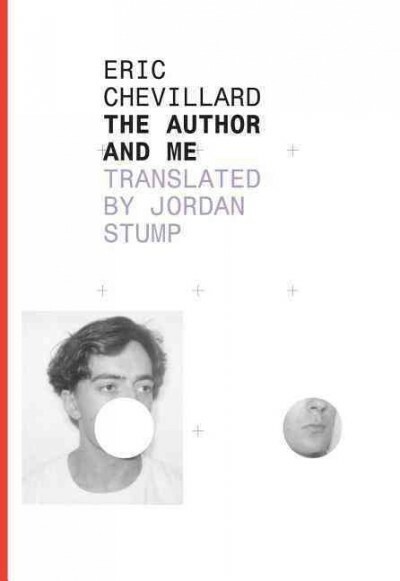 Eric Chevillard’s The Author and Me, translated by Jordan Stump and recently appearing on the short list as a finalist for the Best Translated Book Award, is French experimentalism at its core. It is witty, dramatic, confusing, and overall unlike anything you’ve ever read before—guaranteed. That being said, it’s hard to say what it’s actually about; the plot ranges from a casual chat at a French cafe, to a denunciation of cauliflower gratin, to the story of an ant’s journey, and beyond. The most interesting part of this novel is its structure: because he believes that “authors are always getting in the way of their stories,” Chevillard divides the opinions of the characters and his own opinions as the author by writing his perspective in the form of footnotes. For example, when a character mentions that he does not get along with his father, Chevillard writes an anecdote in the page’s footnote about his own great relationship with his father (so don’t get his identity conflated with the character’s!). Overall, if you’re looking for something to read that is unique, fun, intellectual, and has one heck of a surprise ending, The Author and Me comes highly recommended. Today’s pop quiz: Who is the patron saint of librarians? Answer: St. Jerome. And his feast day is this Wednesday, September 30th. Who was he? Jerome was born around 347 and died in 420. He was a priest, a noted scholar, historian, and translator. He wrote an important Latin translation of the bible (the “Vulgate”) and many bible commentaries. Here at Gleeson Library, we have many books by and about Jerome and the world he lived in. Other librarians have also written about Jerome. A retired librarian here at Gleeson wrote a series of letters about Jerome that we have added to our library’s collection. There’s even a good Wikipedia article about him. 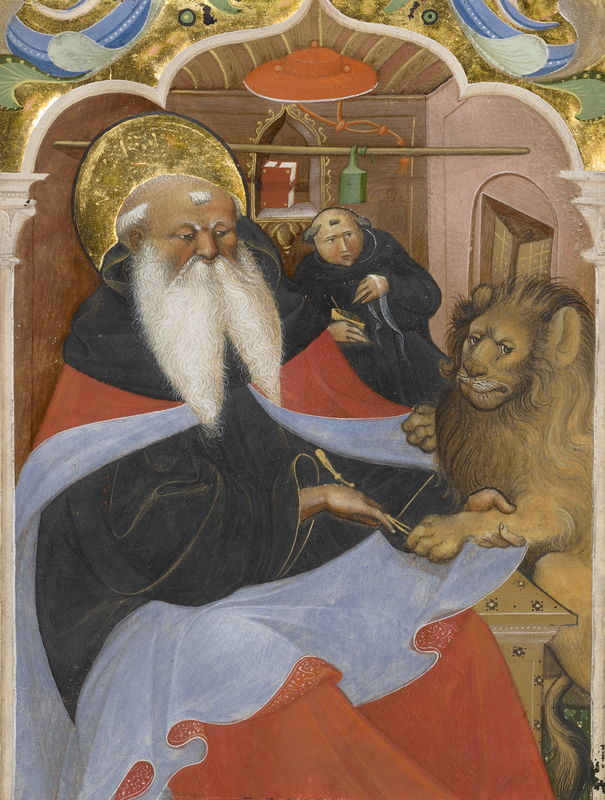 Saint Jerome Extracting a Thorn from a Lion’s Paw, Digital image courtesy of the Getty’s Open Content Program. There is a legend about Jerome: once a lion entered his monastery and most of the monks fled in terror. Jerome stayed and realized the lion had a thorn stuck in his paw. Jerome removed the thorn and the lion stayed with him gratefully for many years. 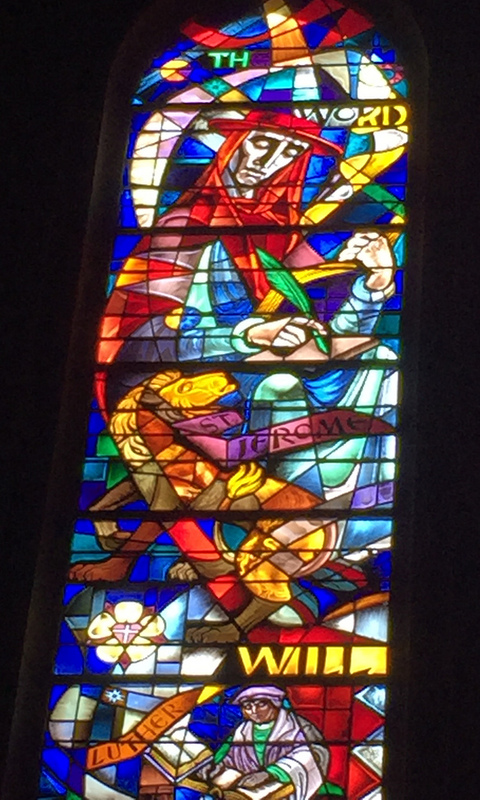 Because of this legend, in art Jerome is often shown with a lion sitting at his feet. Personally I love this story as a librarian because it reminds me that often people come to librarians with a need but they can’t articulate exactly what they want and librarians help them figure out what they need. And hopefully they don’t roar at us while we help them. So why does St. Jerome matter today? When the Church made Jerome a patron saint for libraries, it was saying that information and libraries are important. Libraries are a way to transmit knowledge from generation to generation and to help people discover new ways of thinking. We live in an age now where large corporations are gathering information all the time. We all use Google, Apple, Facebook, but keep in mind they are private businesses. Their goal is to make a profit. Libraries and librarians view information differently, not as something to get profits from but instead something that all of us can use to change the world from here. So as you think about St. Jerome, think about the roles of libraries in our information age. The American Library Association has created a list of core values for librarians, including things like access, privacy, diversity, social responsibility, and the public good. As librarians, we see these values as important when we think about information and knowledge. Libraries are not trying to get you to buy something, think a certain way, or vote for someone, we are trying to inform you, educate you, and help you make choices in your lives. In his lifetime, Jerome often waged intellectual battles with people he disagreed with, but his love of scholarship and belief that we can all appreciate truth makes him a good patron saint for librarians. There is a legend about Jerome: once a lion entered his monastery and most of the monks fled in terror. Jerome stayed and realized the lion had a thorn stuck in his paw. Jerome removed the thorn and the lion stayed with him gratefully for many years. Because of this legend, in art Jerome is often shown with a lion sitting at this feet. Personally I love this story as a librarian because it reminds me that often people come to librarians with a need but they can’t articulate exactly what they want and librarians help them figure out what they need. And hopefully they don’t roar at us while we help them. Library week in New York began not as a public celebration of libraries but as a week long retreat and conference for librarians. The week was sponsored by the New York Library Association which was founded in 1890 with the encouragement of Melvil Dewey. Initially the weeklong conference was held annually at Dewey’s Lake Placid Club in the Adirondacks. I have in my collection of postal librariana an envelope and a brochure announcing Library Week for 1902 which was held on September 20-29 of that year (113 years ago this week). 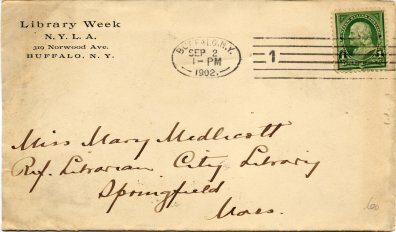 They were mailed to Miss Mary Medlicott, Reference Librarian for the Springfield (MA) City Library. 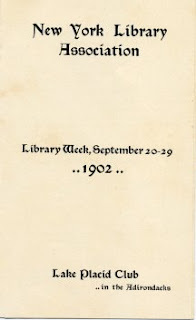 The content of the small brochure indicates that: “The meeting is planned to give opportunity not only for help and encouragement in library work, but for renewal of health and strength.” It further states: “The Association specially wishes to gather all New York library folk at this meeting, but all persons interested in library work, whether as trustees, librarians or assistants, whether inside or outside New York, are cordially welcome during Library Week to share its work and pleasure.” After Melvil Dewey and the Lake Placid Club fell out of favor for practices of discrimination, the week was held elsewhere. I have written previously about New York Library Week in another blog post.